Drapes are an important part of your home furnishing since they greatly enhance the appearance of any room and make it more pleasing and beautiful. The pattern, colour and functionality of a drape can undoubtedly create or destroy the complete appearance and feel of your room. Since there are a variety of drapes available in market, selecting the right pattern, style and colour of curtains for your home is a tedious task. Therefore, it is important to understand your objective of selecting drapes for every room along with your budget. Most people hang the same type of drapes in every room irrespective of the colour theme and interiors. Nowadays, it is a trend to use different draperies for every room that best match their décor, necessities and colour theme. For instance, you may choose bright and colourful draperies for your kid’s room, a sophisticated look for your formal room and bold colours for your bedroom. Choosing the perfect colour of your drapes is very important. The main objective of hanging drapes in a room is that they should complement the interiors and décor of a room. If your room has furniture with deep and dark colours, then you should consider buying light-coloured drapes since it will make your room look bigger. You should also consider the size of your room before purchasing draperies. If you want your room to look bigger, you can choose light shades, and if you want to make the room look smaller, you should purchase dark-coloured drapes. When you choose drapes, ensure your purpose of hanging them in your room. Are they for maintaining privacy in a room, or just for creating appealing look? If you want to purchase attractive and light curtains, but are also concerned about your privacy, you should also use window blinds. It is essential to wash and clean drapes regularly to maintain their appearance. However, people who are extremely busy can find it an exhausting task. Thus, it is recommended to choose drapes that match with your lifestyle. If you are ready to shell out some money for dry cleaning, then you can buy drapes that need special care. Otherwise, you may also buy curtains that can be easily washed and dried at your home without much hassle. Setting a budget before purchasing draperies for your home is also essential. 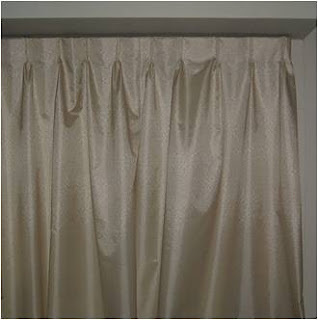 There is a large assortment of colours, patterns and style of drapes available. The quality of the fabric and lining as well as the popularity and brand also add to the cost. If special accessories are added, the total cost can be more. Checking the installation process before buying drapes will help you save your precious time and frustration. Some drapes looks awesomely beautiful, but their complicated installation procedure might take your lots of time and extra money. When curtains are added in a room, they create a comfy look and augment character to it. It is essential to consider factors like colour, lighting and other requirements of your room prior purchasing them. Abbie is a passionate interior designer who loves to decorate interiors. She shares her experience on how to select the best furnishings and accessories for your home including decoration items, kitchen accessories, curtains, ready made curtains and striped curtains.